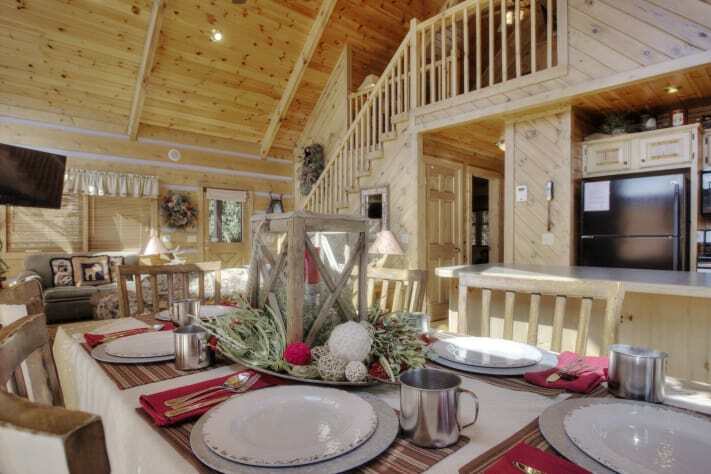 Campfire Lodge 3 BR/3 BA Chalet: Roughing It With All The Modern Conveniences. 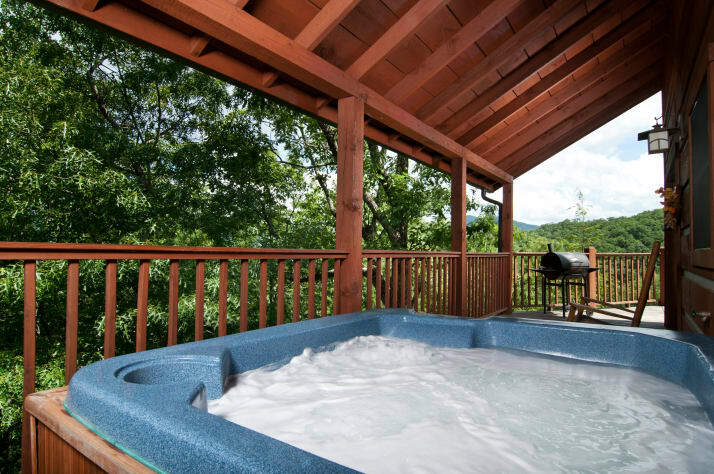 Campfire Lodge is a three bedroom, three bathroom chalet just a stones throw from the Great Smoky Mountains National Park. 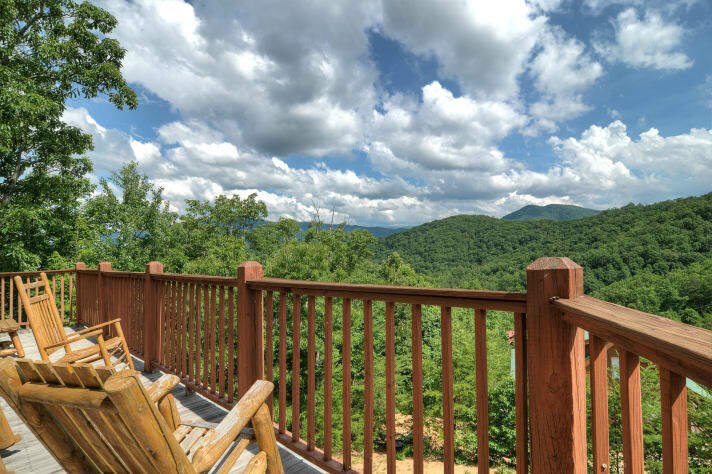 Prepare to relax on the deck and enjoy the view while roughing it in style with the feeling of the mountains, but with all the modern conveniences. 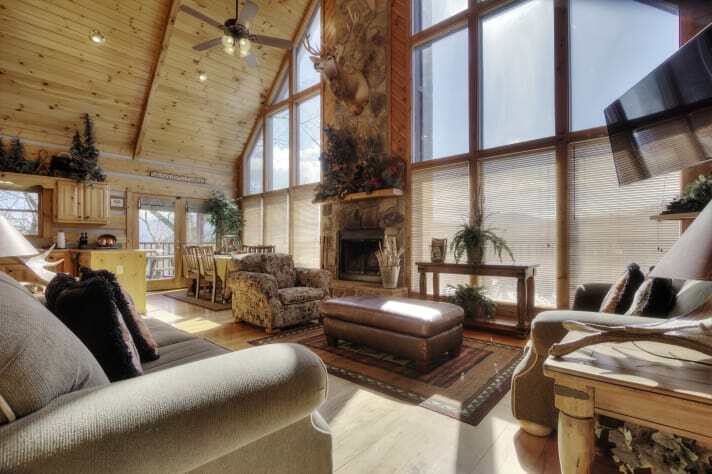 The main floor living area features a wall of windows to take in the mountain scenery. 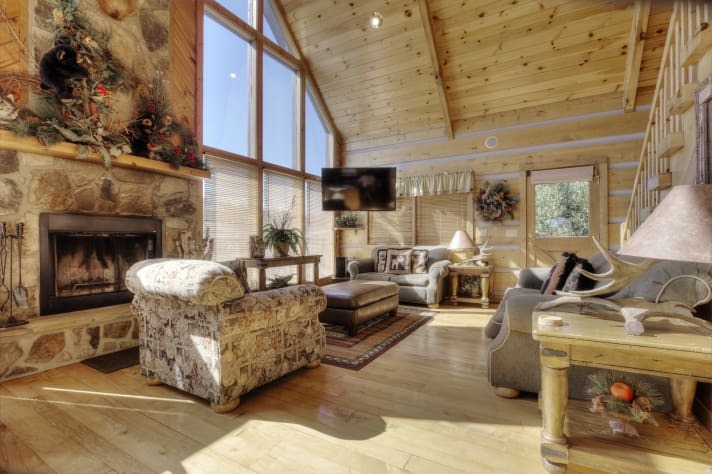 Many guests have spent their vacation enjoying the mountain views and relaxing along side the floor to ceiling stone fireplace. Guests can also watch their favorite television show on the 60 inch flat screen Smart TV or their favorite movie on the DVD player. 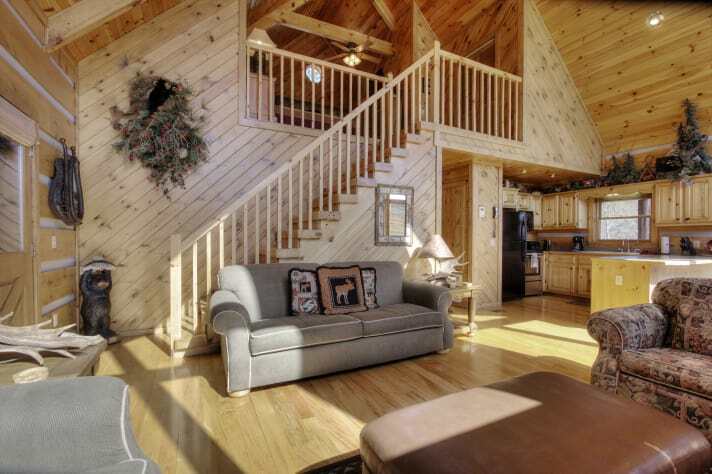 Bring your favorite CDs because this chalet also features a whole house stereo system. The dining area is close by and seats six comfortably for a nice family meal or a game of monopoly. 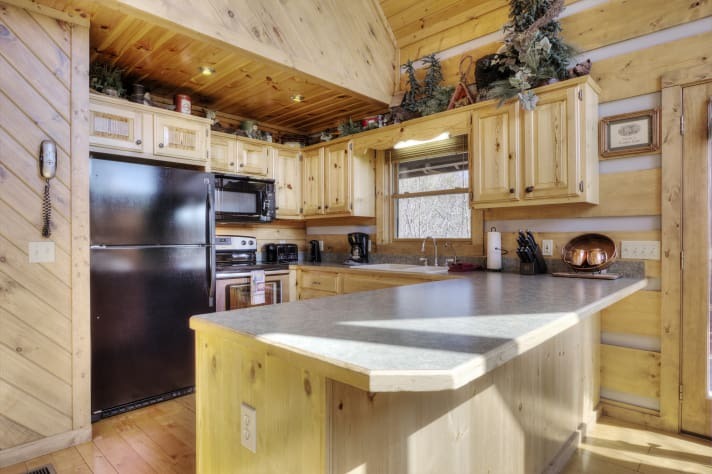 The kitchen has everything the cooking enthusiast might ask for on those evenings you decide to stay in and relax. 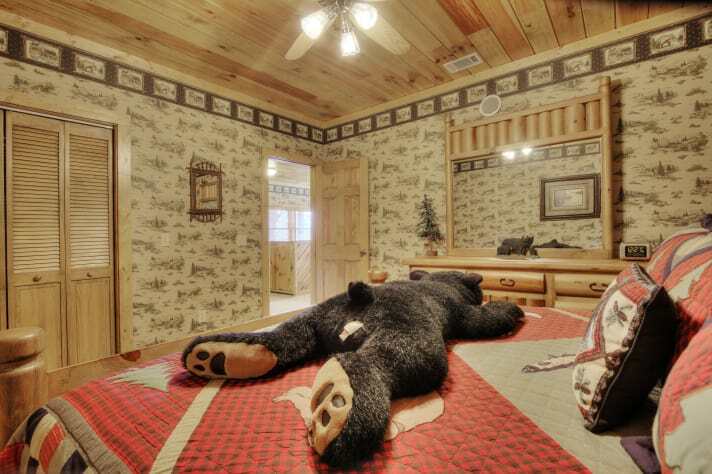 Also on the main level is the master bedroom. 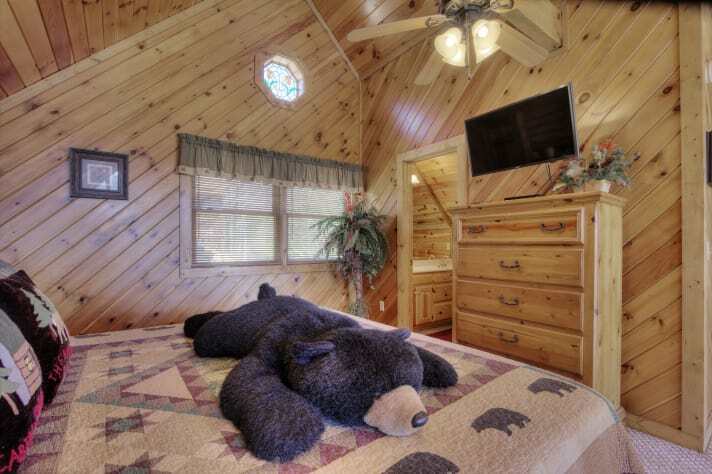 It features a king size bed and a 32 inch flat screen cable Smart TV. 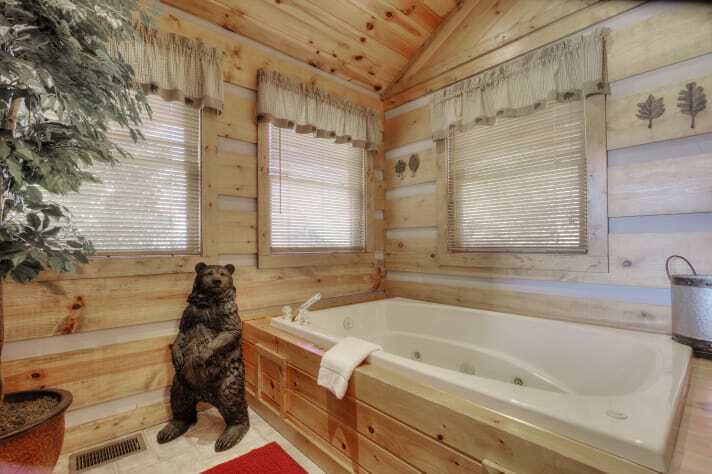 The large whirlpool tub is in its own private room just off the master bedroom. The main level bathroom is just across the hall and features a double vanity and a tub/shower combination. 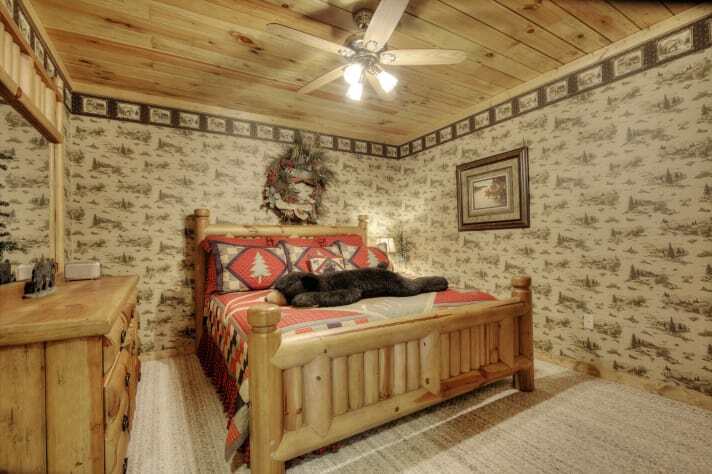 The upstairs loft bedroom also features a king size bed with its own 32 inch flat screen cable Smart TV. 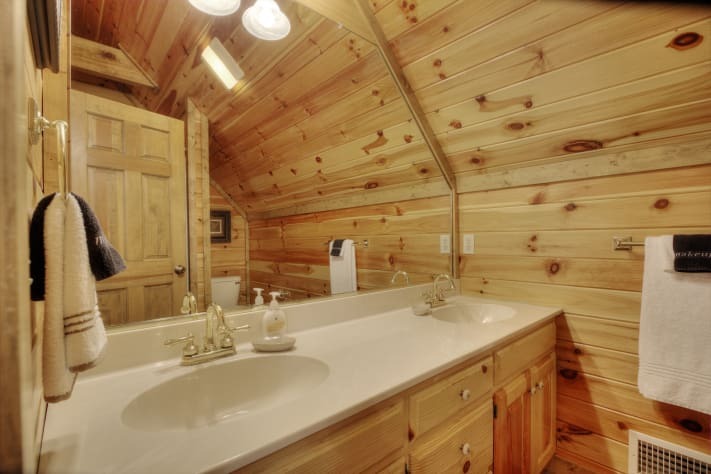 Adjoining the bedroom is a second bathroom complete with a double vanity and a shower. Thanks to the cathedral ceiling, you can also take in the mountain views from the loft bedroom. The lower level is the action takes place with a game room, a wet bar, the third bedroom with a king size bed and another full bathroom. 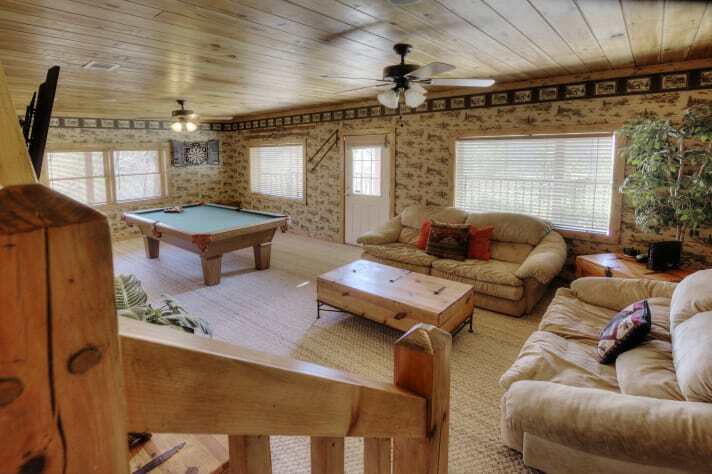 The game room features a pool table, a large comfortable sofa and love seat, a 50 inch flat screen cable Smart TV with a DVD player, an electronic dart board, a Play Station 2 game system, a DVD library, and a selection of adult and children's games. 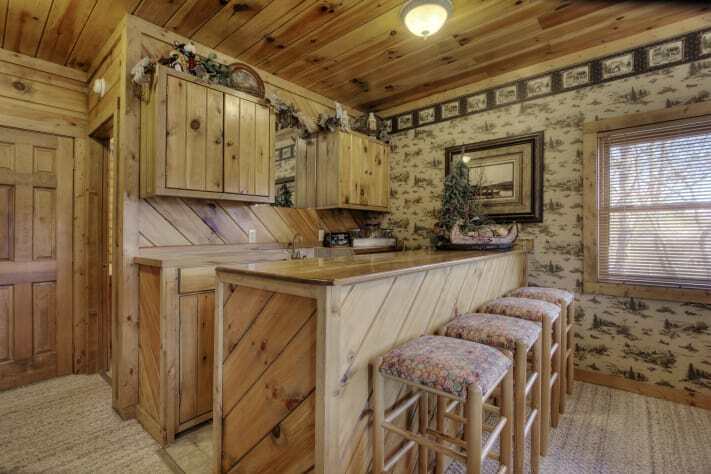 The wet bar features a sink and a small refrigerator for drinks and snacks. 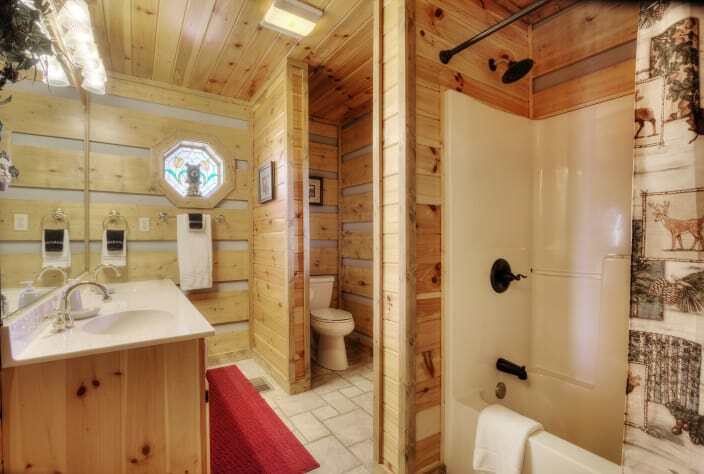 The third bathroom also features a double vanity and a tub/shower combination. The wrap around deck features two covered porches and sports an outdoor hot tub, a charcoal grill, a picnic table and plenty of seating. 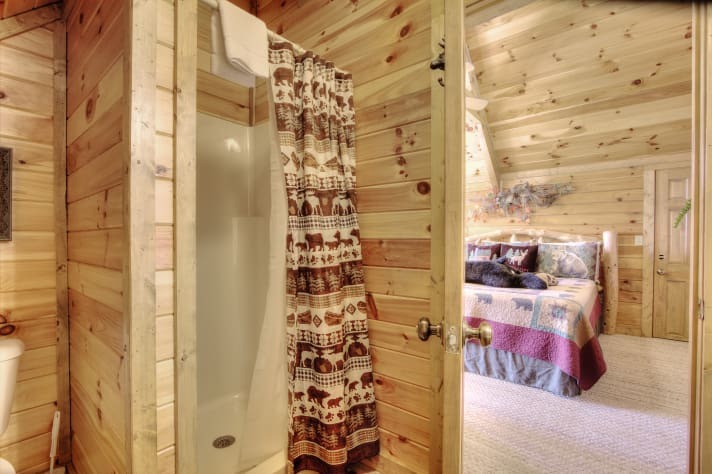 The chalet also includes a washer & dryer, wireless high speed Internet, a high chair, and a Pack-n-Play. 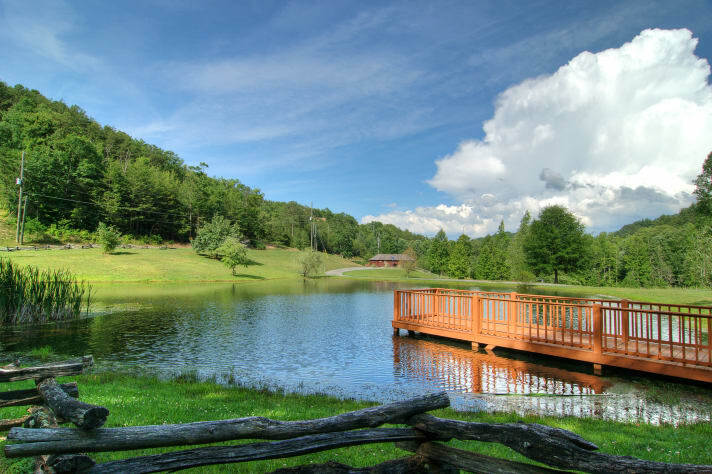 There is a community pond located at the bottom of the hill complete with a fishing pier. With no fishing license required, it is perfect for catch and release fishing. 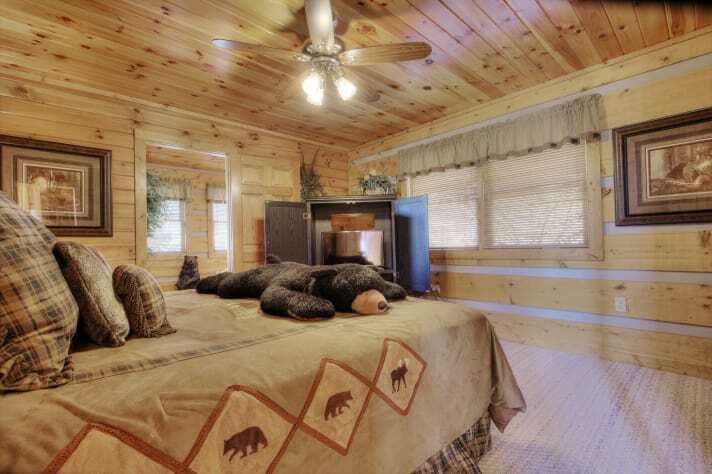 Campfire Lodge will sleep from two to six people with three king beds. 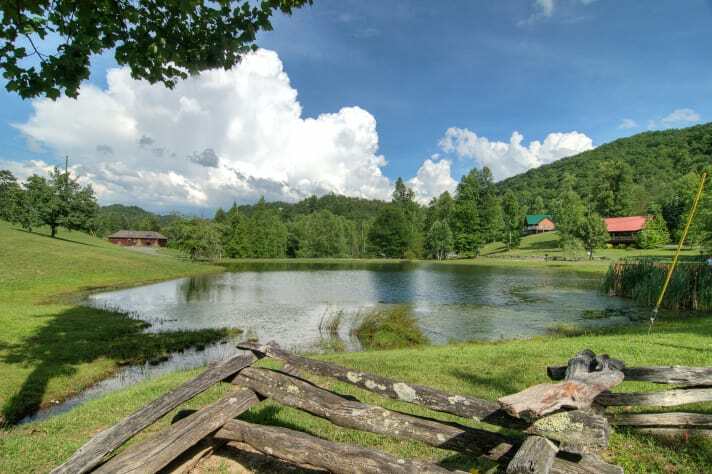 You may book online at https://yoursmokymountaincabin.com/cabin-campfire-lodge/ or feel free to call. This is the best cabin! It's clean, and cozy! We loved it! Campfire Lodge is awesome. Great views. Roomy and had all we needed. I would definitely stay there again! 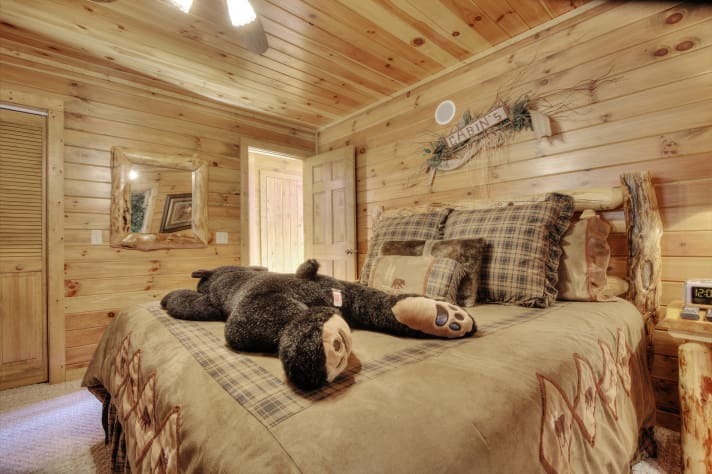 Campfire Lodge is the third cabin we have visited in the Gatlinburg. 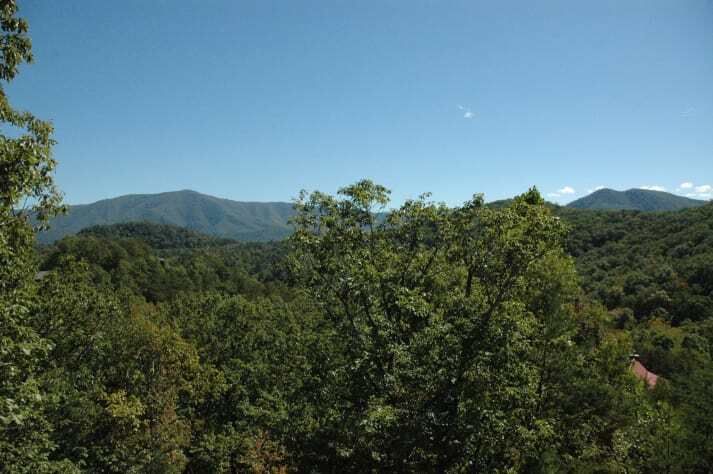 The location is great, only about a 20 minute drive to Pigeon Forge. 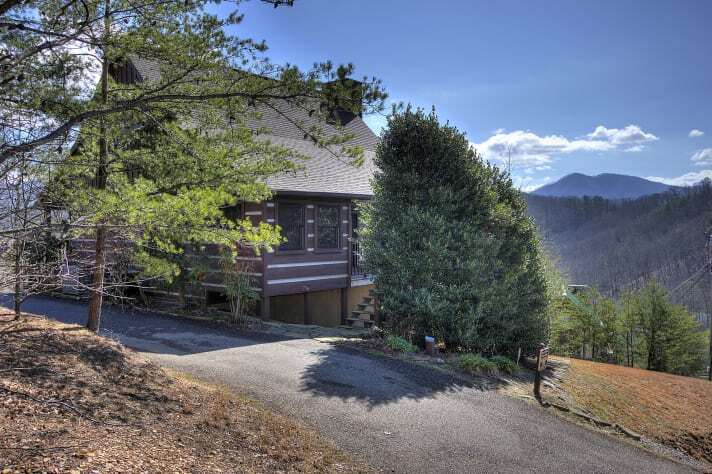 The views are amazing, the bedrooms and bathrooms are all of nice size. 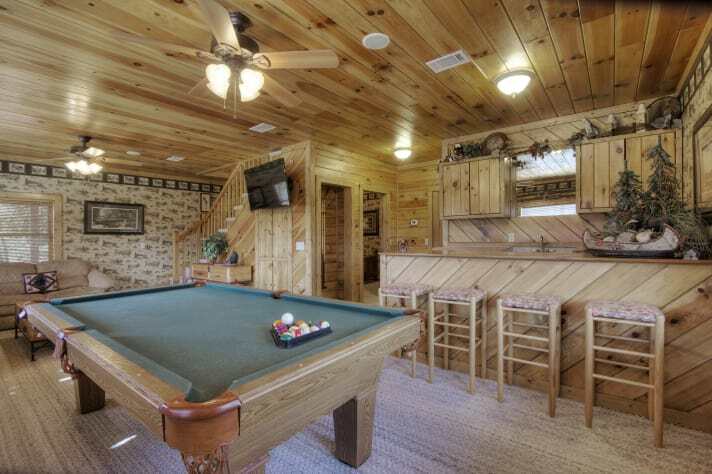 We really enjoyed the pool table and the large dining table for 6. 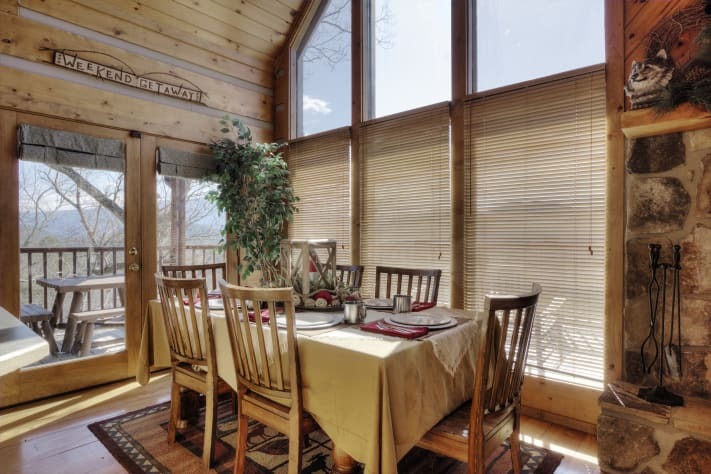 We would definitely recommend this cabin for a couples get away or a famity vacation spot.